In a world of increasing competitiveness and globalization, organizations and individuals are increasingly finding that they cannot function without the Internet and Internet-based applications. Today, an executive sitting at home can prepare a strategic plan for a company based in another country, on a server situated in a third country, that is remotely maintained by IT specialists. None of this could have been done cost-effectively, were it not for Internet — the medium of the future — for work, communication, entertainment and knowledge. Gain speedier email access. Quicker service. Uninterrupted gaming. Smoother movie play. Or, easy Internet surfing. For whatever reason you desire high quality, high speed Internet connectivity, Novius has the optimum solution you should choose. India, at the very centre of the outsourcing revolution, is also poised on the brink of a huge broadband boom. 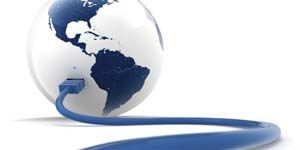 We offers the best-in-class Internet solutions, based on its robust, cutting-edge global network. When your business has online content that needs to be delivered as fast as possible over the Internet, in order to provide progressive content engagement, we sense you will need our Content Delivery Network (CDN) service. It comes equipped with fast forwarding, resolution switching and download independent throttling. It is also powered to deliver the highest throughput levels, ensuring that our CDN service is all you will need to get your content noticed and recognized, faster. When your business is on the fast path to growth and needs high-speed connectivity to stay ahead, we sense you will need the advantage of an Internet Leased Line solution; one which offers reliable data connectivity and enables a host of Applications and Services. Gain the additional advantage of productivity-boosting collaboration and communication tools with Insta Office, powered by Google Apps. Plus, our ILL solutions insulate your critical business data from online threats with all- round data security. When it comes to choosing a business-class Internet solution for your Small or Medium sized Enterprise, you tend to see all Internet Leased Lines as almost identical. In addition to efficient connectivity, you can also opt for a host of Applications and Services that empower your business. These help you communicate effectively secure your business from possible online threats and establish your Web presence for greater global recognition. So step ahead of the competition and give your business the winning edge with Internet Leased Line. In your mind, your SME business has always been destined to go far. That's why when you want high-speed connectivity, we offer port speeds up to GBPS across several access options. When your business applications demand support, we're ready with four Classes of Service. And since we know you expect performance at all times, we offer our integrated monitoring service and Application Performance Visibility Service. Global VPN Services provide secure, cost-effective network-based VPN solutions that enable the seamless convergence of voice, data, video and multimedia on a single network for improved operational efficiencies and quality of service for real-time applications (e.g., VoIP). Global VPN Services are based on MPLS that combines the ubiquity of IP and quality of ATM to ensure a high-performance network for all your connectivity, collaboration and mission-critical application needs throughout the world, including China, India, South Africa and the Middle East. Does your business require you to make frequent international calls? You can now communicate seamlessly with your customers, business associates, colleagues and employees located across the globe without spending much. You can also conduct Video and Audio Web conferences and save big on travelling costs. Your business communication needs to be highly responsive to your customers and partners in order to achieve the highest potential for profit. This is possible by investing in new ways of communicating. Now, you can have high agility, quality and reliability in communications with a range of ThinkBig communications solutions. Each can dramatically lower your communication costs. Direct Internet’s Managed VoIP Solution is a network-based IP Communications service for Call Centres, Telemarketing companies etc. By converging voice traffic onto a data network, it simplifies network management and potentially saves time and money. Managed VoIP is a complete solution supporting long distance telephony, data and other network services all through a single service. Moreover, it offers value and simplicity to company’s communications and makes it possible to save up to 70%* on International telephony expenditures. Through the use of the quality of service (QoS) device, bandwidth is reserved for voice calls to ensure optimal voice quality. The QoS device also provides the ability to monitor and control both voice and data traffic. It eliminates the old-fashioned need to over-provision bandwidth and further optimizes router performance by offloading the QoS function.